Sure, it's no news. Roof gardens date from the ancient times. You certainly know one of the Seven Wonders of the World, Queen Semiramis' Gardens. 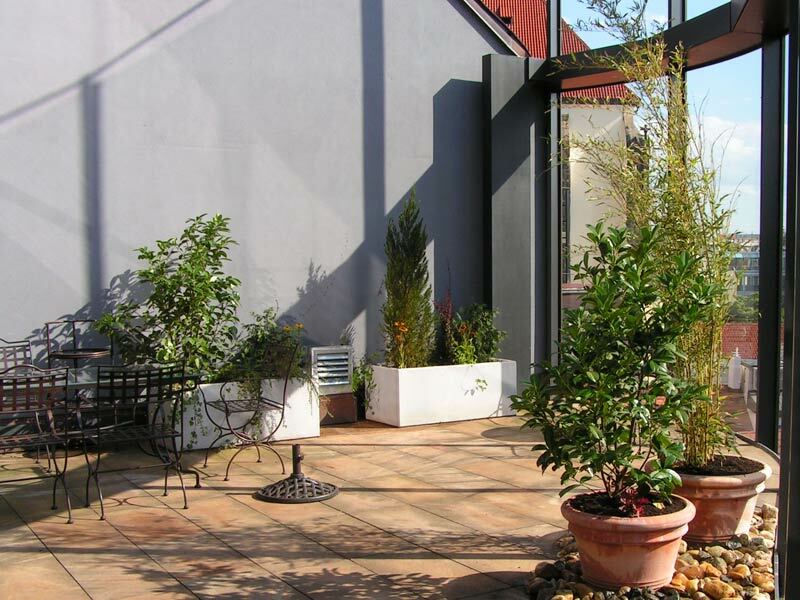 Modern roof gardens are becoming popular today, especially with city people. They represent a new type of living space that can optionally serve as sport or relaxation zones. We can say they manifest a comeback of "green architecture", kind of a symbiosis between architectural and natural elements. Greening will turn a dull and grey roof into a snug place, a perfect complement or even an integral part of your city home. 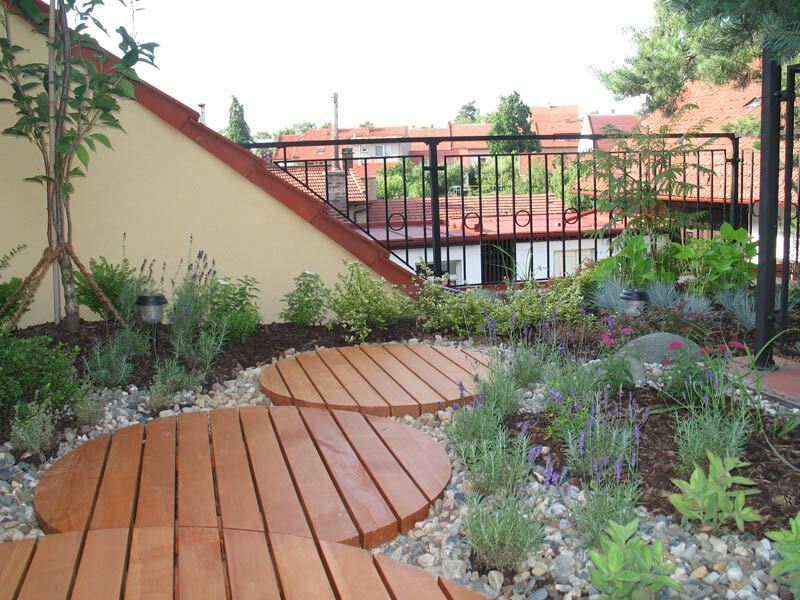 However, when creating a roof garden, we must follow slightly different rules than we do when making a ground garden. There are several factors we must consider. It is primarily the bearing capacity of the roof structure, prevention from roots and water penetrating the roof structure, inclination of the roof (must not exceed 30°), altitude of the attic, etc. 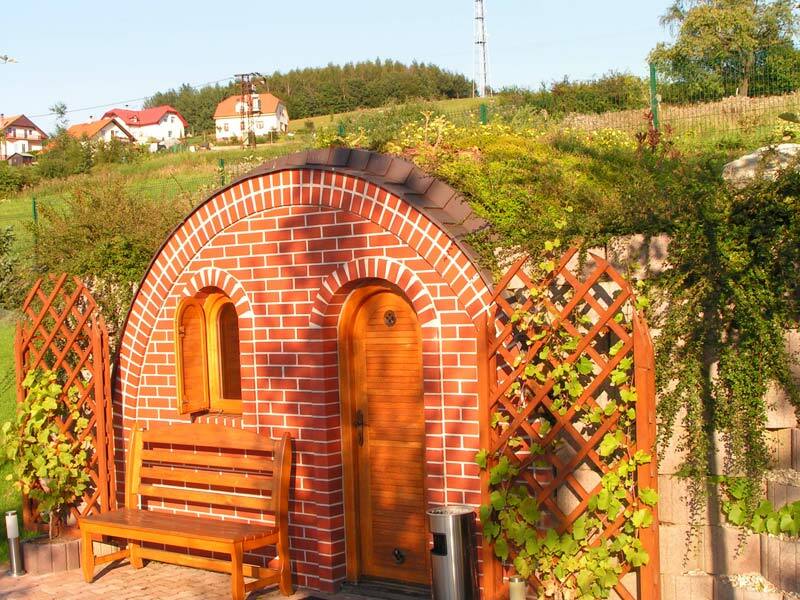 Depending on the bearing capacity, you may choose whether you will design your roof garden as merely ornamental (extensive green coat - in case the bearing capacity is only 100 - 300 kg/m2) or "stepable"(when the bearing capacity is over 300 kg/m2). 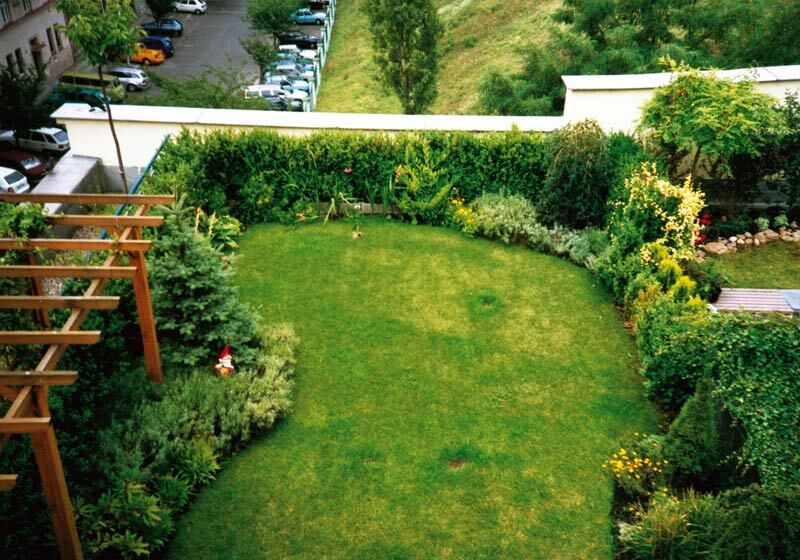 There are numerous ways of designing roof gardens but the good thing is that they are no more a privilege of royal homes. You too can call Marigreen, Ltd. and have one of your own!